Warrenville offers the art, books, music, theatre and history to put a smile on your face. From the Warrenville Public Library, to the art work of Ivan Albright, there is a variety of art and cultural opportunities in Warrenville. Don't find what you want here, within an hour, you can find it in Chicago, or other neighboring suburbs. This section will feature cultural and historic aspects of Warrenville, along with nearby excursions. Visit a Prairie Path Books: A local bookstore that your family will love. Looking a last minute gift idea? A book to read? Find a book that supports a local author. There is something for everyone in this list: 4 authors with a dozen different books. All are written by local authors, many from Warrenville. There are links to purchase each book on Amazon. And if you don't find what you want here, check out the 2015 list of books by local authors. While we may be familiar with the role of female nurses in the Vietnam War, did you know that over 1200 other women also served as intelligence analysts, flight controllers, clerk-typists, translators, physical therapists, dietitians, communications specialists, photojournalists, finance clerks, and couriers? Come hear these stories and more, inspired by the time the authors spent in Viet Nam. Warrenville VFW Post 8081 will host a book signing featuring two noted Vietnam veteran authors on Tuesday, November 15th, at 2:00 PM. The Post Home is located at 3S371 Mignin Drive in Warrenville. Attendees are invited to bring their own books for author signing. Extra copies will be offered for sale by the authors at the signing. Claire Starnes is on tour, traveling here from New Hampshire to promote her book, Women Vietnam Veterans: Our Untold Stories. 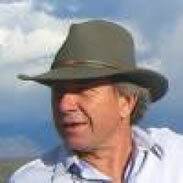 Joining her from Arizona will be Harlen Campbell, a writer of science fiction, mystery, and suspense novels which are nobly informed by his Army experiences. His published titles include Monkey on a Chain, Jennifer's Weave, Sea of Deception, and PLENUM. Claire and Harlen both served in the same unit in Vietnam with former Warrenville Mayor Richard Volkmer. All three worked together on editing and publishing the 12-page weekly MACV Observer tabloid newspaper, which had an in-country circulation of 110,00 and was printed by Stars & Stripes in Tokyo. The 11-15-16 book-signing event was arranged in cooperation and with the support of VFW Post Commander Dan Leonard. Claire Starnes from the Maine town of Lewiston. 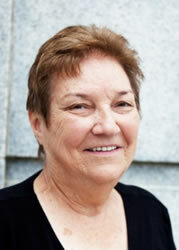 She enlisted in the Women's Army Corps in 1963 and trained at Fort McClellan, Alabama; and Fort Gordon, Georgia. In her first five years, she was assigned to Fort MacArthur, California; Camp Zama, Japan; and Fort Sill, Oklahoma. In 1969, she volunteered for Vietnam. Over the years of the American war in Vietnam, an estimated 1,200 military staff and line officers and enlisted women served in country. At the age of 23, Claire became one of them. Initially assigned to the US Army Engineer Construction Agency-Vietnam at Long Binh, she transferred MACV (Military Assistance Command, Vietnam) in Tan Son Nhut to work on the MACV Observer, a weekly 12-page tabloid newspaper published by the Command Information Division. There, she hired and trained a staff of Vietnamese Nationals to run a typesetting operation which ultimately supported more than 20 division publications. Due to Claire's proficiency in the French language and Vietnam's history as a former French colony, she was often called upon to serve as a translator. Following her Vietnam tour, Claire worked at the Public Information Office at Fort Monroe, Virginia, where she wed Edward C. Starnes, another Army journalist. The couple both retired from the military in 1973, became civilian employees of the Army, and continued their distinguished careers in the public information service. In 1999, Claire and Precilla Landry Wilkewitz, a former roommate at Long Binh, co-founded a non-profit organization called Vietnam Women Veterans, Inc. (VWV). VWV’s purpose was to find all the female staff and line officers and enlisted women who had served in Vietnam throughout the war. More than 700 (both living and deceased) were located that year, and VWV convened its first reunion conference in Olympia, Washington. Throughout the years since then, Claire continued searching for her peers, researching and filling in the missing histories of how these women came to South Vietnam and what they did there. 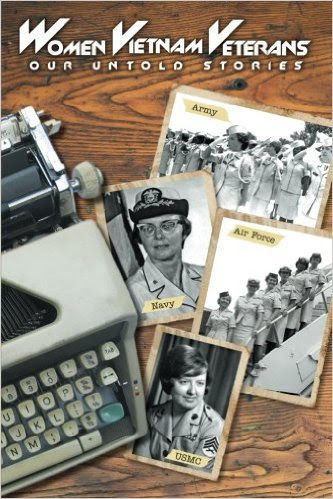 From 1962 to 1973, this hardy group of Army, Air Force, Marine Corps and Navy female personnel left its mark as intelligence analysts, flight controllers, clerk-typists, translators, physical therapists, dietitians, communications specialists, photojournalists, finance clerks, and couriers. Then, in 2012, a team of some 20 collaborators finalized the search and compiled the information. This compilation of the women’s varied experiences resulted in the publication in 2015 of a comprehensive history, Women Vietnam Veterans: Our Untold Stories. The book chronicles the participation of American military women (other than nurses) stationed in Vietnam during the war in detail. Today’s military women serve in fields never previously imagined, thanks to the pioneering efforts and sacrifices of this little-known group of some 1,200 heretofore unsung women who served in every military branch. The book took 17 years in the making. And now the world can learn about the accomplishments of these remarkable women. Harlen Joseph Campbell served in Vietnam as a journalist at the Military Assistance Command, Vietnam (MACV), working as an editor on the 12-page weekly tabloid Observer newspaper. He also served as a military radio disk jockey during a tour in Germany. He is a writer of science fiction, mystery, and suspense novels, which are nobly informed by his Army experiences, and lives in Cave Creek, Arizona, and Huntington Beach, California. His interests lie in the nature of the individual's relationship to society and to the world, but he is willing to apologize if they show up in his writing. In fact, he believes that a writer's primary obligation is to entertain, and that he should only be allowed to fool around with ideas if his readers don't notice what he's up to. Campbell's first novel, Monkey on a Chain, was released by Doubleday in 1993. The book was introduced the Vietnam veteran character Rainbow Porter, who has been described as a "throwback to the outlaw/heroes of the old west." In fact, Porter was inspired by a combination of John D. Macdonald's Travis McGee and television's Paladin character, with more than a touch of the pirate thrown in. In addition to favorable reviews, Monkey was an alternate selection of the Book of the Month Club. It was also released as a trade paperback by Poisoned Pen Press of Scottsdale, AZ, and is available from the Poisoned Pen bookstore and website as well as Amazon. Both Monkey and the sequel, Jennifer's Weave, are also available as audio books. His latest novel, PLENUM, is an epic road novel where the road stretches from a fallen time ship deep in the last ice age to a critical meeting of the Polar Council in 7296 AD. Campbell studied at New Mexico State University and has BA's in English and Journalism and an MA in English Literature. Following his service as an Army journalist and a short stint teaching college English, he has focused exclusively on his writing career. Although he admits to no hobbies and energetically avoids most forms of exercise, Campbell enjoys an occasional solitary walk . . . generally preferring beaches to mountains, warmth to cold, and indolence to industry. I wish Warrenville had a gallery or an art store. As far as I know, it does not. One of the closest is Gallery 200 in West Chicago, just 10 minutes away. If you are an artist looking for a place to display and possibly sell you work, consider Gallery 200. Gallery 200 is moving on Sept 1 to a new location that is bigger. That means there is room for more artists. Gallery 200 is a gallery of over 20 artists in many types of media. It runs as a co-op under the umbrella of a non-profit called People Made Visible. People Made Visible coordinates projects in West Chicago, including music nights, Healthy West Chicago, a community garden project, and various cultural events. Gallery 200 is moving because the building where it is currently located is scheduled for major renovations. It is moving just a couple of blocks from 200 Main Street to 103 W. Washington in downtown West Chicago. The new location has much more space, that will be used for many of the People Made Visible projects. How does the Gallery 200 Co-op Work? Artists are juried in. They bring samples of your work & fill out an application. Once accepted, each artist pays a nominal membership fee (annually in January, and prorated thru the year). If you join in September, the fee would be almost nothing. Artists price and display their work at the gallery. Each artist is expected to staff the gallery 4 hours / month, and chooses the times they wish. The gallery does not take a commission on sales, so the artist gets 100% of money collected. Each month one of the artists is "featured". They hosts a bigger exhibit of their work, and kick it off with an opening reception. In October and December, there are group shows, where any of the Gallery 200 artists can join the show. Whether you want to join as an artist, or just check out the art, stop by Gallery 200 for a visit. If anyone knows of an art gallery or store in Warrenville, please reply. Want to start one?? Now that's in interesting idea! Let's hear what your ideas. If you have dusty scrapbooks and knitting shoved into the back of the closet you are not alone. How about some inspiration to get your creative juices flowing again. New people to work with and new ideas to try will motivate you to pull out your art. Get started with these FREE options. An open group of friendly crafters meets on the 1st and 3rd Tuesday of the month at the Warren Tavern. Bring sewing, knitting, paper crafts, or whatever you are working on. Make new friends as you make progress on your project. Usually everyone works on what they bring. Sometimes there is a group project to benefit the community. We try to stimulate everyone's creativity with occasional enrichment workshops and "show and tell" by members. Want to come? Contact Linda Kurcz @ lindakurcz@hotmail.com to be notified of upcoming meetings. If your shopping is done, and your weekend is not booked with holiday parties, check out one of these live theater events. A festive way to get in the holiday spirit. Unfortunately, I couldn't find any plays in Warrenville, but these are all close. I saw this one - great cast that makes it a fun evening. Worth the trip into the city. Radio play version including the sound effects. The cast served milk and cookies after the show. Watch the movie on the big screen. 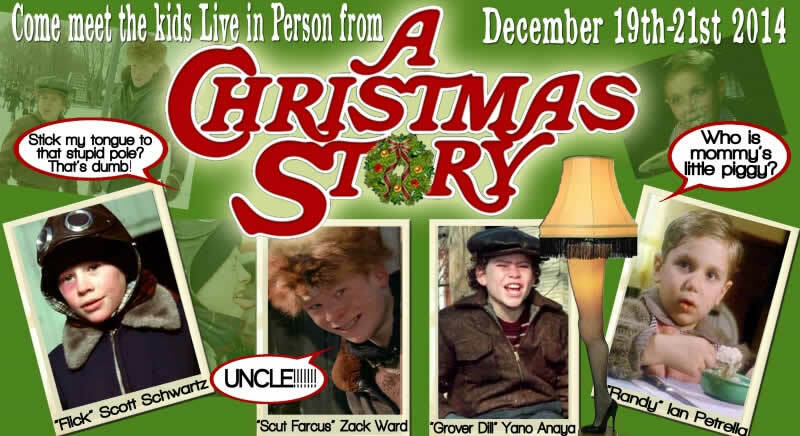 The actors that played 3 of the characters (Flick, Scut Farcus, and Randy) will be attending for these reunion shows and signing autographs. Are you looking a gift? A book to read? Find a book that supports a local author. There is something for everyone in this list: 5 authors with a dozen different books. All are written by local authors, many from Warrenville. These books are available online, and may also have local purchase options, as noted.